The Novation Launchpad Mini MK2 is a mini grid instrument for Ableton Live. 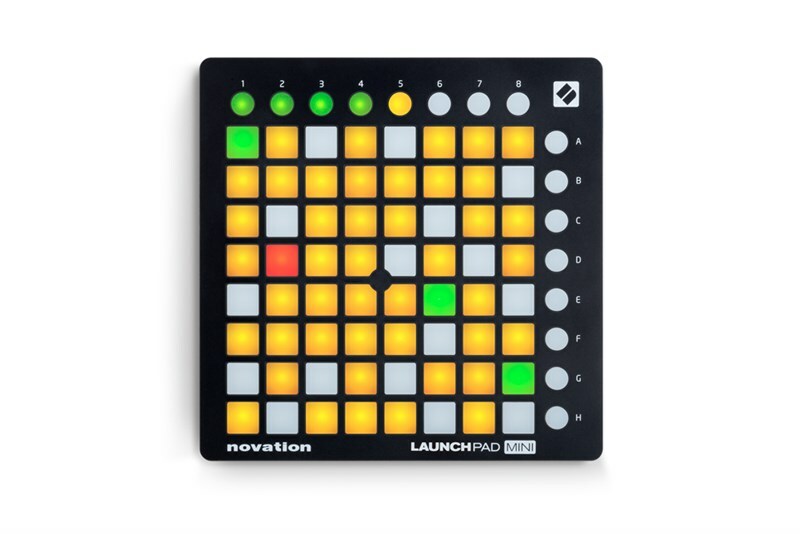 The new Novation Launchpad Mini MK2 version of the compact USB controller has 64 multicoloured backlit pads, 16 extra function buttons and software for PC and MAC including Ableton Live Lite. The Launchpad Mini MK2 is compact enough to chuck in your bag so you can take it on the road with you and built to last. It's USB bus powered so will work as soon as you plug it into your computer. It will also contact to iPad via camera connection kit. You can combine Launchpad Mini with any other Launch products, like Launch Control and Launchkey Mini, to create a compact and hands-on studio setup. It is designed for Ableton Live, but integrates immediately with FL Studio as well. 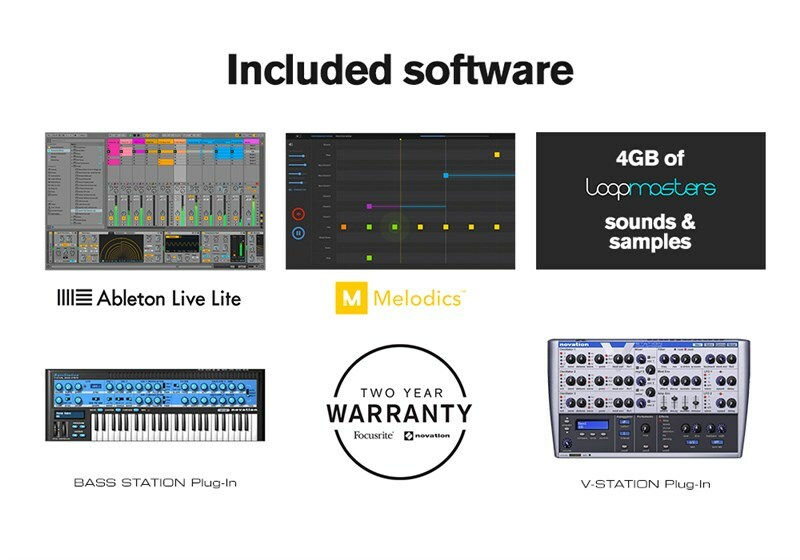 It also comes with everything you need to start making music, including Ableton Live Lite, Novation Bass Station virtual instruments, and 4GB of samples from Loopmasters. 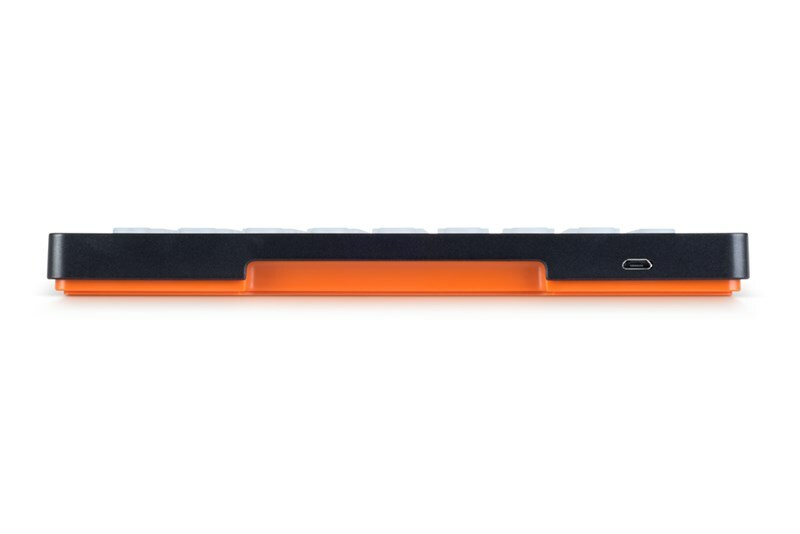 Fits Anywhere - As our smallest and lightest Launchpad, this is perfect for a compact setup. 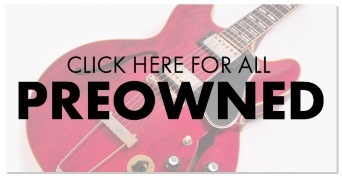 Make Something Spectacular - Create awesome multi-coloured Launchpad light show videos. Mix with Your Grid - Trigger clips, arm tracks, and control volumes, pans and sends. Control FL Studio - Trigger samples and effects, play on the piano roll and much more - it's a brand new way to play FL Studio. Play with Novation Launchpad App - Integrate immediately with your iPad via a Camera Connection Kit or Lightning to USB Camera adapter (not included). Create a Full Studio - Combine Launchpads or add other Launch products to control all of Ableton Live at once. 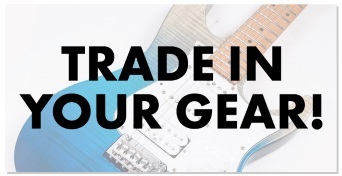 Make Music Immediately - Includes Ableton Live Lite, Novation Bass Station virtual instrument and 4GB of Loopmasters samples.